Are you someone who prefers to use home-made masalas for your family? If yes, Kutchina MISI DLX 550 mixer grinder is your perfect kitchen companion. The combination of a high-power copper wound motor and precision blades gives this model a superior grinding capacity. 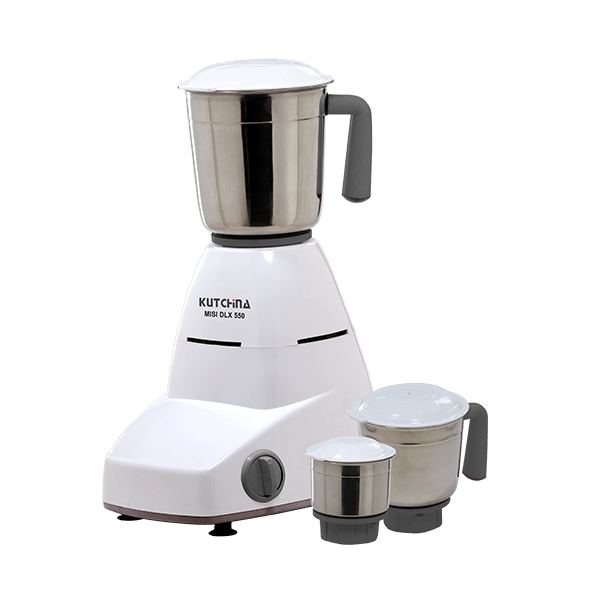 In other words, you can totally rely on this model to grind and mince various types of whole spices and herbs. Using the dedicated control knob, you can easily choose from three grinding speeds. Three separate jars, including a wet jar, dry jar, and chutney jar come with this model.